To most people, there’s not much to distinguish between a consultant, a contractor and a freelancer. 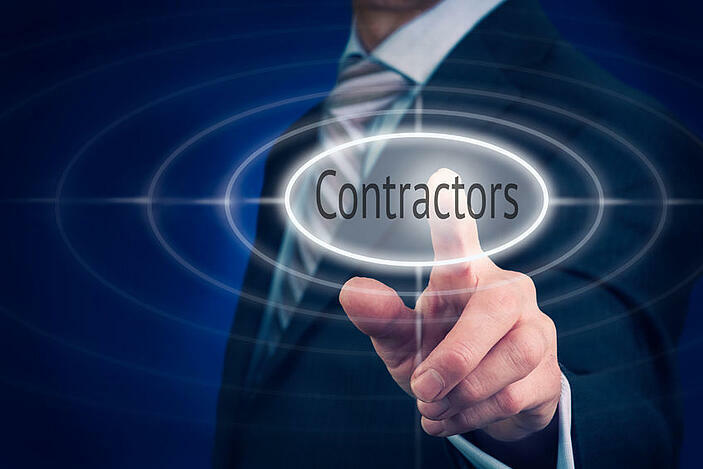 But as any contractor can testify, there are a couple of key differences that come into play when it comes to your tax obligations, and the things you can claim as expenses. That’s largely down to IR35, the regulation that aims to prevent people disguising full time employment as contract work in order to reduce their tax liability and their NI payments. For anybody considering the path to contract work then, here’s an introductory guide to contractor expenses, liabilities and the all-important IR35 legislation. If the terms of your contract are outside IR35, you’re effectively self-employed (or a Director of your own limited company) - so you can claim back any expense that is "wholly and exclusively" incurred in the running of your business. By claim back, we mean you won’t have to pay tax on those expenses at all. Some claimable expenses include business insurances, computers and laptops, work stationery, telephone bills and training. You can also claim work-related travel costs too, claiming mileage of 45p per mile for the first 10,000 miles you travel in a financial year, and 25p per mile thereafter. Accountancy costs are another key claimable expense - another reason why it makes good financial sense to get an accountant on board as you start your contracting venture. Claiming expenses as a contractor is very straightforward, but relies on you keeping an accurate record of those expenses throughout the year. At Inform Accounting, we provide our contractor clients with access to Xero and Receipt Bank, to help on both fronts. If you’re a contractor operating through your own limited company, it’s also important to keep track of whether you’re paying expenses from your personal accounts or your business accounts. Where you pay for a business expense out of your own pocket, you can reimburse yourself from your limited company profits through Xero’s expenses tab. What if contract work falls foul of IR35? If it’s deemed that your contract effectively reflects full-time employment (with the same levels of risk and responsibility of a permanent employee), HMRC will enforce IR35. In this case, you will only be able to claim reduced expenses. If you’re running a limited company, it also means you’ll have to pay full tax and NI rather than adopting the benefits of the salary/dividend structure. This prospect can lead many potential contractors to reconsider whether a limited company is the right way to go, but even inside IR35 you can still claim travel and accommodation expenses, 5% of your turnover, and receive other benefits such as accumulating interest on the funds your limited company holds. To find out more about contractor expenses and the possible implications of IR35 on your income, give us a call on 0121 667 3882 or contact us online here.